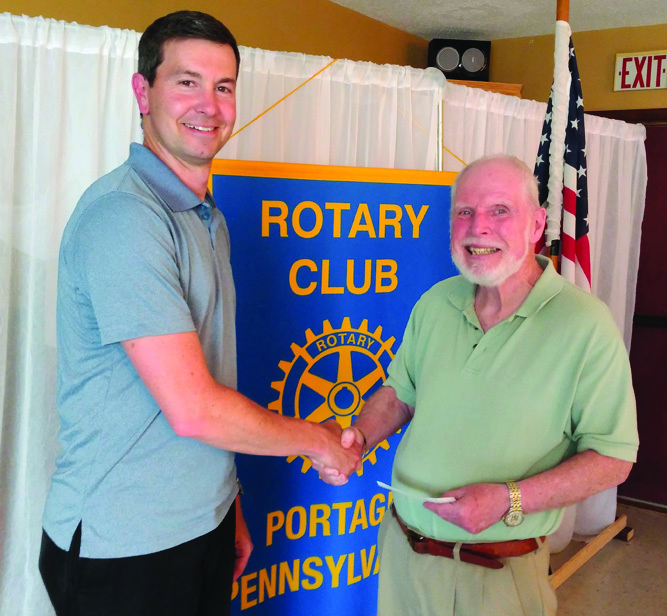 The Rotary Club of Portage donated $500 to Veteran Community Initiatives Inc. Accepting the check for the veterans is Tom Caufield (right), president/director of the organization. Presenting the donation is Chris Bartoletti, president of the Rotary Club of Portage. VCI is a nonprofit organization whose purpose is to enhance the lives and well-being of veterans and veteran families in the local community by assisting with their social and economic needs. Tim Ajay, president of the Allegheny Club of Holli-daysburg, presents a $1,000 donation to Kim Eckard, representing the Hollidaysburg Area Public Library on June 15. 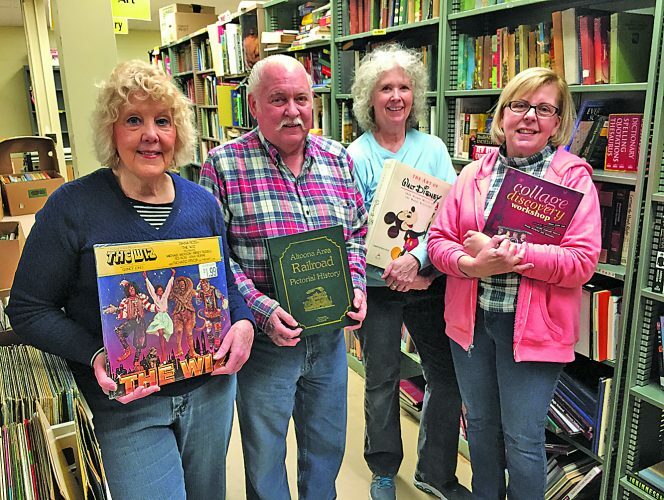 The new funds will be used to serve the needs of the Hollidaysburg area community through the purchase of new books and other library materials. HAPL director Janet Eldred and the library board of directors thank the Allegheny Club for its support of the library community. Courtesy photos Tim Ajay, president of the Allegheny Club of Holli-daysburg, presents a $1,000 donation to Kim Eckard, representing the Hollidaysburg Area Public Library on June 15. 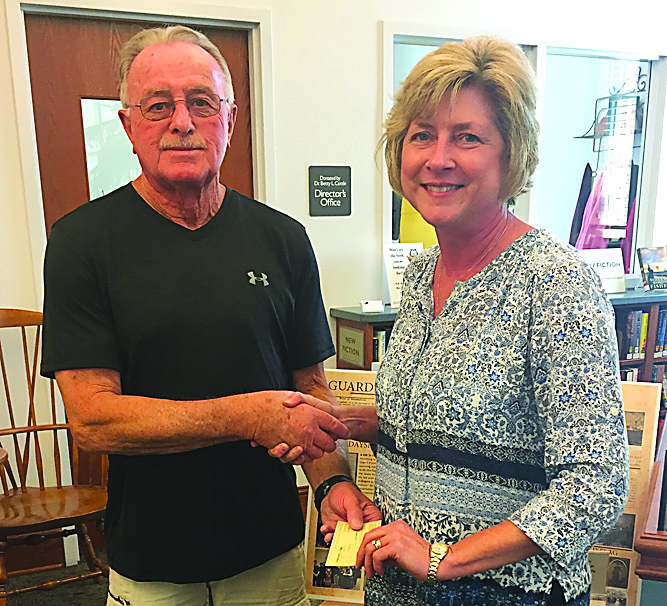 The new funds will be used to serve the needs of the Hollidaysburg area community through the purchase of new books and other library materials. HAPL director Janet Eldred and the library board of directors thank the Allegheny Club for its support of the library community. DUNCANSVILLE — The American Federation of State, County and Municipal Employees Retirees Subchapter 8306 will hold a summer potluck picnic on Wednesday at the Patchway Road Union Hall. Those attending should arrive by noon. Lunch will be served at 12:30 p.m. Please contact Mary Ann as to what you will be bringing. July 18 — Mary Moran and Bea Stevens, first; Jean Keller and Jean Green, second; Barbara Marinak and JoEllen Gehl, third; Marcia Dravis and Dave Dravis, fourth; Thana Moussa and Helena McGahegan, fifth. July 19 — Thana Moussa and John Regan, first; Barbara Marinak and Jeannne Fagley, second; JoEllen Gehl and Diana Colabrese, third; Marcia Dravis and Dave Dravis, fourth. 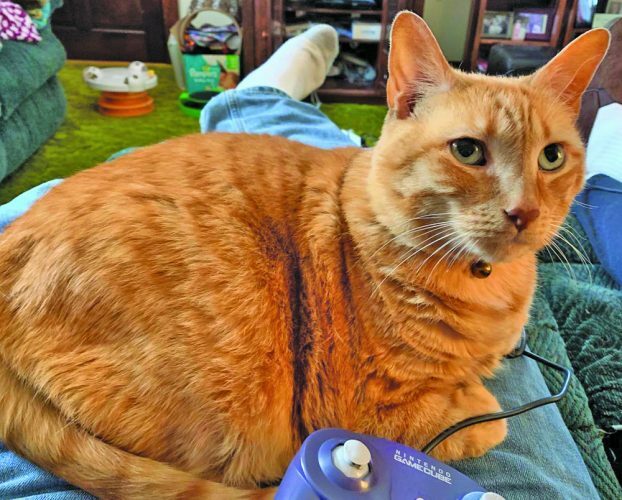 Games are open to the public and held at 6:30 p.m. Wednesdays at 12:30 p.m. Thursdays at the American Legion Social Hall in Hollidaysburg. bridge.com or call Bruce Baldwin at 695-0182. 1 to 3 p.m. Contact Kevin Davis for more details at 942-1842 or kwa1davis@atlanticbb.net. 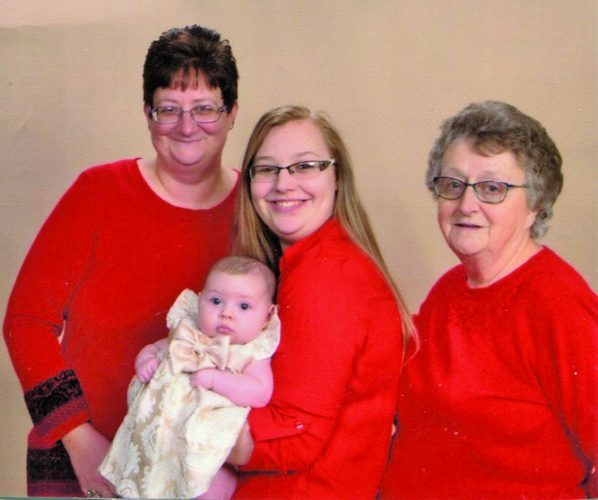 Area clubs and nonprofit organizations can email articles and photos to community@altoonamirror.com. For more information, call Brenda Carberry, community news coordinator, at 946-7459.